Nestled in the New York countryside, the Jewish Summer Fellowship is a six-week summer study program that provides undergraduate and graduate college students with the opportunity to explore Judaism in a warm and invigorating environment. At JSF, participants taste from a wellspring of wisdom, meet other students from around the world and enjoy the great outdoors. JSF is a six week summer program offering the opportunity for college students to explore Jewish learning in an immersive environment. Every student receives a generous stipend for their commitment to this endeavor. The JSF is funded by dedicated Jewish philanthropists who are inspired to foster the furtherance of Jewish education. This fellowship is geared toward students who are interested in exploring their place in the Jewish future. The Jewish Summer Fellowship was and is such a blessing to me. I learned basic to fairly complex lessons in Chumash, Tanya, and history and, most importantly, I learned sisterhood. I’ve never known truth so true or warmth so warm. JSF gave me the confidence and foundation to really get into Jewish study and it gave me the motivation to strive for more. I have grown so much since my first day at JSF. Fantastic! As my first source of Jewish education it was very helpful. It has helped me take the next leap forward: learned davenning, Hebrew, how to find info in texts, learn how to think, Tanya, Talmud, why I do a mitzvah. If I could come back next year I would! I feel like the 5 weeks was not enough time. The program is a success and I will recommend to everyone I know. I want to personally thank everyone who has made this experience possible! Super Duper! Overall, my most educational summer of my twenty two years. It greatly helped in establishing my Jewish identity. This program has been absolutely essential to my Jewish education. Without the JSF, I would have probably never learned all I have over these few weeks. For people like me, yeshiva is simply not even an option. This style of program seemed tailor made for people like myself. It’s a Judaism 101 for those of us who weren’t brought up with it. This program brings the Judaism back into Jews. At the JSF Women’s Program I was privileged to experience true expression of love and concern for a fellow Jew. The faculty is comprised of strong, intelligent, and beautiful Jewish women who go above and beyond their job requirements to educate and nurture their students as mentors and role models. 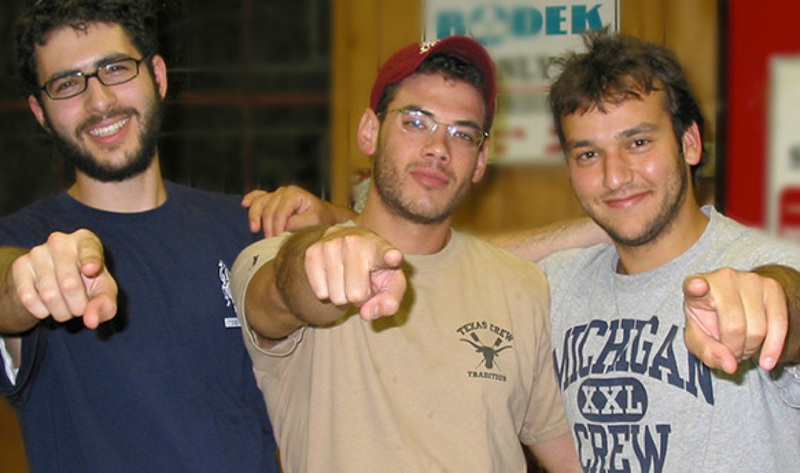 Learners come to JSF from a broad gamut of backgrounds and quickly form unique bonds while supporting one another through their spiritual journeys and challenges. After a year and a half I am still discovering the ways in which my experience at JSF impacts my growth in Torah. I whole-heartedly recommend the program to everyone; you will discover that your heritage is an invaluable treasure. The JSF Experience was a fantastic introduction for me into what it means to live every day as a Jew. Through daily lessons, fun excursions, and full spiritual immersion with new friends from across the country, I was able to see how the laws of Judaism were applicable for daily events to which I had normally never given any thought – from the very act of getting up in the morning to going to sleep at night. This is a program that I endorse for any Jew who is interested in broadening their religious horizons. The JSF Experience is an extremely enriching, refreshing, and stimulating program. It helped me satisfy my thirst for learning and encouraged me to never stop doing so. It was the first time I fully experienced the benefits of a Torah observant lifestyle. This in itself inspired me to take on more mitzvot. Initially, I was hesitant, but every single person I met became my second family and made me feel like I belong. No matter who you are or what your background is, you can find your place here at JSF, and you will be loved and accepted for who you are in this beautiful, warm, and loving atmosphere. This experience is unique and satisfying; you will never have another one like it. Coming here is one of the best decisions I have ever made. The JSF convenes on two beautiful open-space campuses in Upstate New York. Three fresh and healthful meals are offered daily.